BUILT FOR CLEAR CHAT — Superior 4X Noise Cancelling Microphone blocks out unwanted noise. 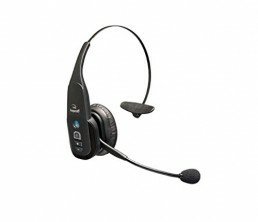 The mic is also adjustable to pick up your voices loud and clear. Provide crystal-clear conversations even in noisy environment. LIGHTWEIGHT & COMFORTABLE — The headset weights 1.48 oz (lighter than an egg). Enjoy extended comfort with padded earpad and flexible headband. Great choice for those who are not comfortable with the “In ear” type headsets. 12-Hrs TALKING TIME — Offer up to 12 hours continuous talking time and 200 hours standby time with single fully charged in just 2 hours. 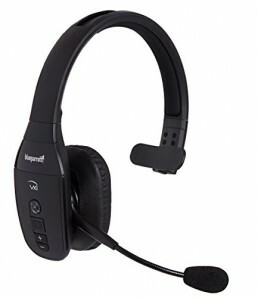 Mpow Professional Over-the-Head Driver’s Rechargeable Wireless Bluetooth Headset is featured with Microphone Noise Cancelling and provides 12 Hours Talking Time. EASY PAIRING & WIRELESS FREEDOM — Pair easily with any two Bluetooth devices at one time. Roam range up to 30 feet from paired Bluetooth devices. Meet all your needs of calling. COMPLY WITH FCC REGULATIONS – FCC ID 2AMH2-MBH15. This equipment has been tested and found to comply with the Radio frequency devices. Mpow offers 45 days money back & 18-month worry-free guarantee. 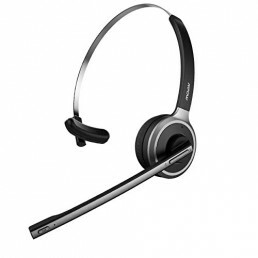 Please note that this headset is specially designed for calling, doesn’t support listening to music. Great idea for driver, call center, Skype chat, conference calls, webinar presentations and more.